Australia’s new Foreign Minister Marise Payne has plenty to learn from Julie Bishop’s significant missteps — and indeed non-steps — in the same role. While Malcolm Turnbull and others have lauded Julie Bishop as a great foreign minister, she was not. Her hectic schedule, regional summits aside, was much more New York and London than Asia — the region with which Australia does the bulk of its trade, and which remains central to growth, not to mention the multiple security concerns amid a hefty two-way tourist trade. Bishop appeared especially keen to avoid the poorer, strife-torn nations in the region, such as Myanmar and Bangladesh (she visited neither in five years) and Timor-Leste (where she made a whistle-stop 36-hour visit only two months ago). Australia is planning to send collectively almost $1.3 billion in aid to Southeast, East, South and West Asia and has a vested interest in helping people in those nations escape poverty. However, Bishop was much more likely to be seen snapped in the company of Australian film stars than getting her hands dirty visiting the refugee camps around Myanmar, a country whose increasingly shaky new democracy — one being pummelled by the tragic crisis of the Rohingya people — is crying out for help. Australia places high priority on our bilateral relationships in Southeast Asia and on our support for ASEAN. The government is enhancing engagement with the region to support an increasingly prosperous, outwardly-focused, stable and resilient Southeast Asia. Putting aside the vexed issue of how to deal with China, former and current senior diplomats have told Crikey that there has been little follow-through on prioritising the whole of Southeast Asia. Rather, it’s being done on a piecemeal basis — the present focus on Vietnam is a positive, but there’s almost a complete lack of attention to Myanmar at the other end of the spectrum. During the Rudd-Gillard years, there were multiple visits by prime ministers and foreign ministers, but no cabinet minister has visited at all since the Coalition was elected in 2013. Canberra’s apparent inability to look the Rohingya crisis in the face has been embarrassing, and has perhaps been hampered by the government’s own unresolved refugee crisis on Manus Island. Sources in Myanmar have said that the country’s military, known as the Tatmadaw, actually admires Australia’s policy. This week’s launch of an important new book by Australian academics Anthony Ware and Costa Laoutidas on the crisis, Myanmar’s “Rohingya” Conflict, laid out the complexity of a situation that has increasingly been simplified by the international media, because Myanmar will not allow any access to the northern Rakhine State. At the event, former Australian ambassador to Myanmar Chris Lamb promised to send Payne a letter begging her to look closely at the situation and consider what Australia might be able to do. 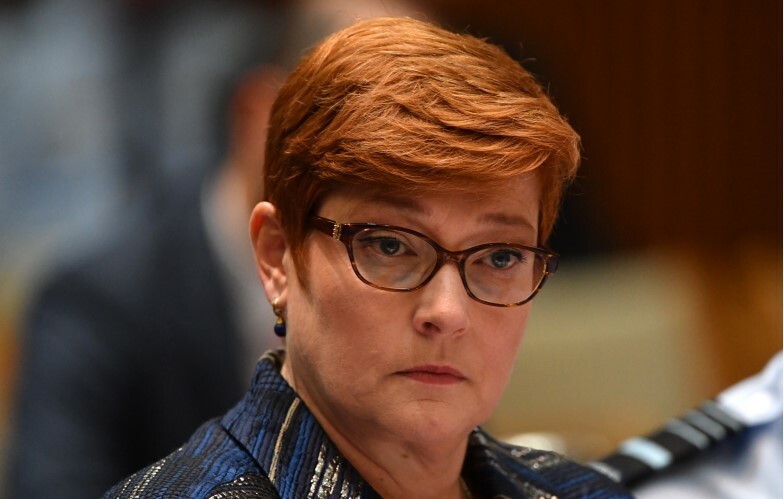 As a former defence minister, Payne will be aware of the security risks and priorities in a region that is increasingly politically unstable; the threat of radical Islam making a fresh surge is very real. This was an issue raised in the White Paper too. “Our humanitarian assistance in Afghanistan, Bangladesh and Pakistan is promoting security by meeting the basic needs of vulnerable and mobile populations,” it read, naming three countries where the the threat of Islamic fundamentalism is a clear and present danger. Canberra is also watching Malaysia tensely, hoping that newly elected veteran Mahathir Mohamad can turn around the trend of his predecessors who supported pro-Islam and Sharia law groups in favor of secularism. Even closer to home, the decision by Indonesian President Joko Widodo to select a leading Islamic cleric as his running mate may play well for him domestically, but has caused ripples here. These issues in the region now described by DFAT as the Indo-Pacific are also relevant for Prime Minister Scott Morrison but, given that he faces an election within nine months, his concerns will be far more domestic. 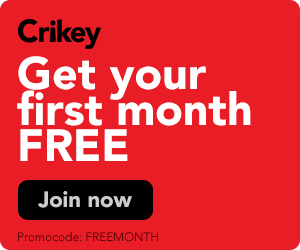 Crikey understands that Turnbull was planning a significant swing through a number of key Southeast Asian nations later this year with plans to visit Vietnam, Malaysia, Indonesia and China. Morrison has already lined up a visit to Indonesia — now the traditional first foreign port of call for new Australian PMs — but Australia can and should do more than the perfunctory box ticking visits Bishop tended to make around the region. We need to re-learn how to engage in a deep and meaningful way with nations in Southeast Asia, and Payne needs to get out of the hotels and meeting rooms into the cities and countryside and meet some real people. Listen here Sainsbury..those cocktails in New York aren’t going to drink themselves! What are we going to be reduced to wasting our $tax on if we’re not paying for her to fly interstate to watch West Coast Eagles games ostensibly on “government business” organised around those games? I fully agree. Plus there is the added problem of the closure of AusAID, the dismantling of which was done by FA during her watch as minister. AusAID was one way in which Australia’s profile was raised in the many neighbouring countries she did not get around to visiting. Michael, thanks for this. In writing it though I see a tendency to skate across the realities – which you would know well – that many countries we need to deal with are more complex – than, for example, merely hoping Mahathir will lead Malaysia away from any form of Islam into democracy. As we practice it maybe? (Sorry last week here still lingers). Or why Widodo has chosen a clerical running mate. Given the huge demos against him in the past by many conservative Muslims I’d say it was a good choice. HE IS balancing forces as much as leaders in Oz do. I Appreciate your missives, and recognise space constraints in writing important observations. The reason we need a good FM is to understand and actively engage with these complexities in the ways former FMs did. I agree with you Janno about Widodo I think the choice of a Islamic cleric as a running mate is an acknowledgement of the population of Indonesia. It makes sense. It annoys me when I hear Australian commentators think only of what is best for Australia and have no insight about other spaces really! We must respect our nearest neighbours to our peril. Julie Bishop was definitely not a great foreign minister. The only reason she held that post for so long is that Australia is a minnow on the international scene, and foreign affairs is the least demanding portfolio where the least competent members of the team are parked (remember Alexander Downer?). A truly competent FM could I suppose achieve something positive and creative, but for now the post mainly requires a love for travel and an ability to smile and shake hands (as long as they’re clean). In Julie Bishop’s case I guess we could add a love for dressing up. Why worry Oz? China is doing a magnificent job of correcting the ills identified in Sainsbury’s third paragraph. We’ll see some military bases there before too long. did “a great job” I’d be loathed to see what the former PM would consider a bad job. With the excitement of it all I overlooked the matter of the passports of Australian citizens utilised by the Israelis. The plagiarism was one thing but the blundering and irresponsible statements by the Minister didn’t damage relations with Israel. Israel may need to borrow additional identities in the future. Julie Bishop seems ready to move on to a job outside politics, which should include expenses paid trips to the Melbourne Cup just like her most recent position. Bishop’s attitude towards Asia is more symptomatic of being a minister in the Liberal Party than anything else. Payne will be no different; she’s more likely to serve the children up in a pie, Titus Andronicus style, rather than supporting them to make their own pie. Just add climate change, inundation; and shake! If Australia has a back yard . . . then south east asia would be a strong contender. As you say Michael, or infer, Australia much prefers the world stage rather than reality of domestic, home securities. Hopefully, Payne understands the choices associated with her new responsibilities? Vietnam’s paddy fields should have taught us something about Asia and the populations that inhabit. Genuine friendships, respect and common engagement is the real fruit of a shared regional future. Up to the current day Australia’s engagement with Asia still resembles behaviours of old empires. Asian peoples on the other hand, have seized their futures. They owe us little; certainly not our caucasian heritage. Worrying about candidate Joko and his running mate is the least of her worries in Indonesia. The elephant in the that room is the candidate Prabowo (the butcher from E Timor). Or how about the toxic billions being pumped into Indonesia from the Saudis? There is nothing left in this government that could provide any sense of care of our future in our region. They’re only thinking of themselves. Payne’s no different. Andrew Robb was their last expert on the Chinese. He might be able to sell her some advice. Yet there are still parts of the media that insist on trying to convince us of “the great job” she was doing …. parroting Limited News Party propaganda.